Check available mortgage rates for this weekend. They are steadily going up … but still, the rates are historically low! Lots of great looking homes on the OKC Metro market. Discover YUKON or MUSTANG ... are these your preferred areas? Start your HOME SEARCH . Thinking about a getting a new home loan? PM or text me and will put you in touch with one of great OKC Metro mortgage lenders. 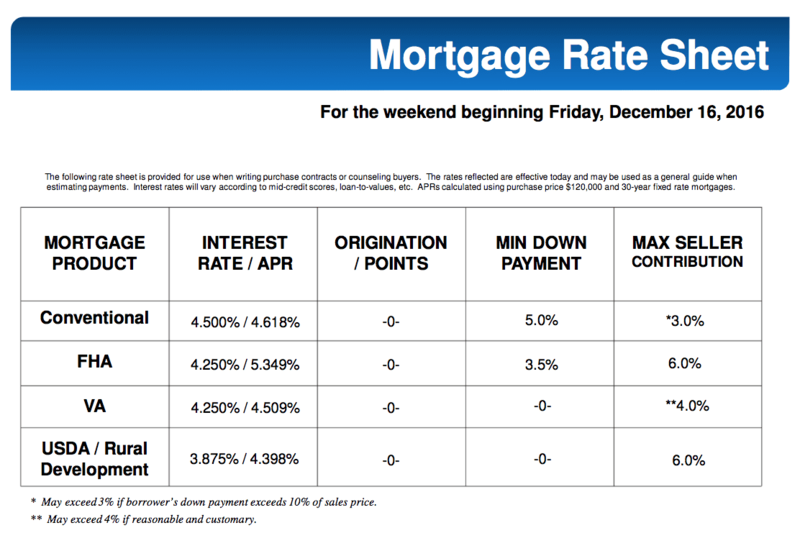 So there you have it, my Dear Reader, MORTGAGE RATES FOR THIS WEEKEND-DEC 16th Let me know if I can assist you, your family or friends with any real estate needs.